While serving in the General Assembly, Sheriff Wilson sponsored many bills on topics such as Senior Citizen Property Tax Reform, Education Reform and Civil Service/Military Personnel Reform, Weapons Free Zones and Taxi Cab Regulations. One of his cornerstone pieces of legislation is the Fresh Mobiles bill. In an effort to combat Camden’s classification as an “urban food desert,” Assemblyman Wilson introduced the initiative in which city residents can access Jersey fresh produce from a mobile unit. He also sponsored legislation that allows students to eat produce grown in community gardens. A committed advocate and supporter of the community, Sheriff Wilson was an assistant basketball coach at Camden High School under the leadership of Coach Clarence Turner as well as an assistant football coach for the Centerville Simbas. He has assisted the Camden Creative Arts High School with their fundraising efforts and has attended various competitions throughout the country to support them including Monterrey, California and New Orleans, Louisiana. Sheriff Wilson served in the U.S. Air Force (1965-1969) on tours to Thailand and Vietnam where he served in the 821st Combat Security Police Squadron (Air Force Rangers). He was a member of the Camden Police Department for over 26 years, served as Commander of the Vice Unit and Supervisor of the First Community Policing Unit retiring as Lieutenant. He received an Associate Degree from Camden County Community College in Law/Criminal Justice, a B.A. Degree from Glassboro State (now Rowan) in Law/Criminal Justice, attended classes in Method of Instructions Course at Fort Monmouth, Incident Command Systems (ICS) for Executives and attended the Municipal Elected Officials Certificate Program at Rutgers University Bloustein School of Public Policy. He is a member of the Camden City Democratic Committee, the Camden County Democratic Committee and had the honor to serve as a Delegate for the 2012 Democratic National Convention. From his work with the Camden Police Department to his efforts as an elected official, Camden City Council (1997-2001, 2005-2010), the New Jersey State Legislature General Assembly (2010-2015) and now Sheriff of Camden County, he has dedicated his life to public service. 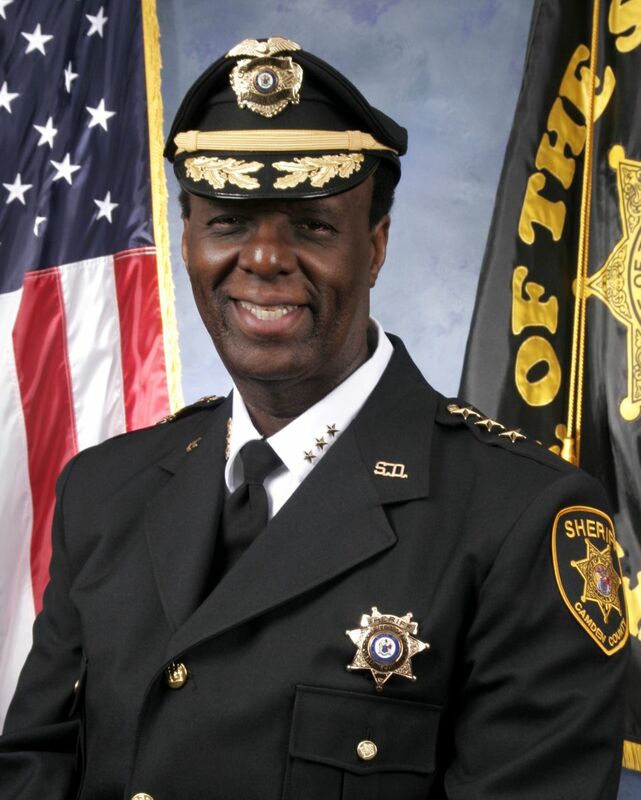 Sheriff Wilson is a member of the NJ State Retired Police and Fire Association, Inc., the NAACP, Hudson-Adam-Carpenter American Legion Post 473, Vietnams Veteran of America, and the NJ Vietnam Veterans Memorial Foundation, Inc. of Holmdel, NJ. Sheriff Wilson has been married to his wife, Martha for more than 30 years. She is a member and President of the Camden City Board of Education. They have a blended family of six children, nine grandchildren and three great-grandchildren. Click here for the Sheriff’s website.